Germany is in the midst of an unprecedented clean energy revolution. Thanks to the “Energiewende,” a strategy to revamp the national energy system, Germany aims to reduce its overall energy consumption and move to 80 percent renewable energy by 2050. The country has already made considerable progress toward achieving this ambitious goal. In fact, other countries like the United States can learn a lot from the German clean energy experience. That’s why WRI is hosting a German energy speaking tour in the United States this week, May 13th-17th. 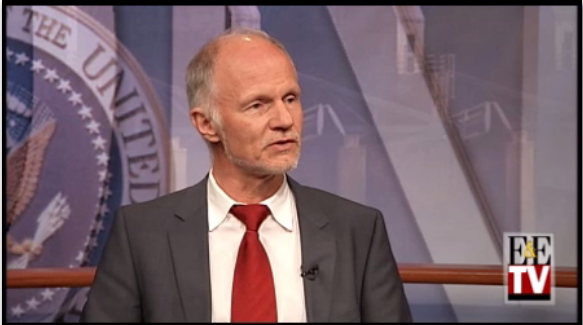 Rainer Baake, a leading energy policy expert and key architect behind the Energiewende, and WRI energy experts will travel to select U.S. cities to share lessons, challenges, and insights from the German clean energy transformation. They will be joined by Dr. Wolfgang Rohe and Dr. Lars Grotewold from Stiftung Mercator. Germany now gets almost 25 percent of its electricity from renewable energy sources, up from just below 7 percent in 2000. Since 2004, investments in Germany’s clean energy sector grew by 122 percent, creating an industry that supports almost 380,000 jobs. Germany has a low unemployment rate, at 5.8 percent. Since 1990, Germany has reduced its greenhouse gas emissions by 25.5 percent, exceeding its commitment under the Kyoto Protocol of a 21 percent reduction by 2012. Under the Energiewende, Germany plans to expand its share of renewable energy to 80 percent by 2050 and reduce its energy consumption by 50 percent by 2050. This plan aims to reduce greenhouse gas emissions by 40 percent by 2020 and by 80-95 percent by 2050. The Energiewende is expected to create 500,000 jobs by 2020 and 800,000 by 2030. Of course Germany’s clean energy revolution hasn’t come without its challenges, and what works within one national context won’t necessarily work in another. But as the United States and other countries consider their strategies to expand renewables and energy efficiency, it’s important that they learn from the global leaders in this space. Germany is certainly one of those clean energy leaders to watch.